Thats a WRAP! for the Graduating class of 2018! 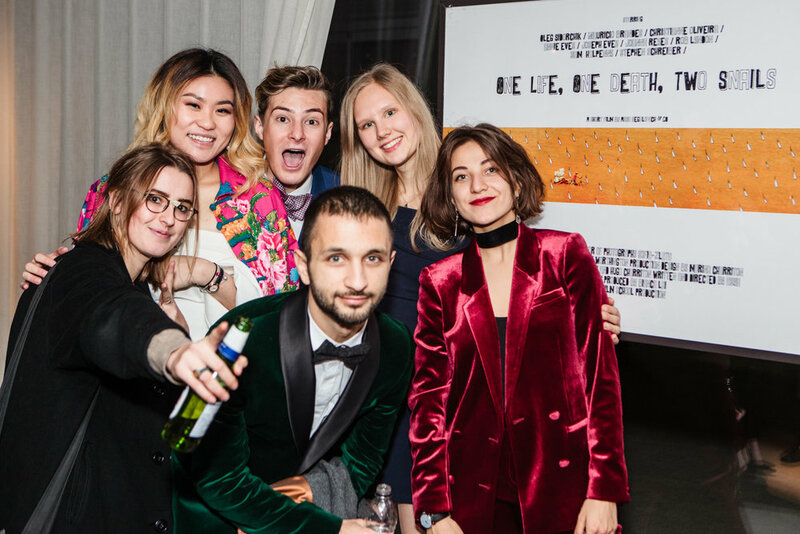 Students, friends and family, and others in the Central Film School community came together on Tuesday 27th November 2018 at the BFI Southbank to celebrate the hard-work they students have put in over the last 2 years. 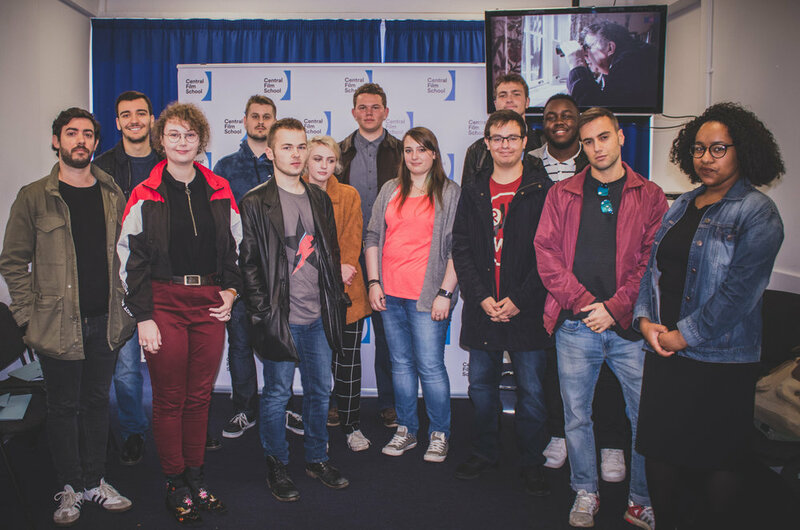 We all gathered in the NFT3 Screening Theatre to watch a total of 14 Films created by our very own BA (Hons) Practical Filmmaking and MA Directing Fiction Students. 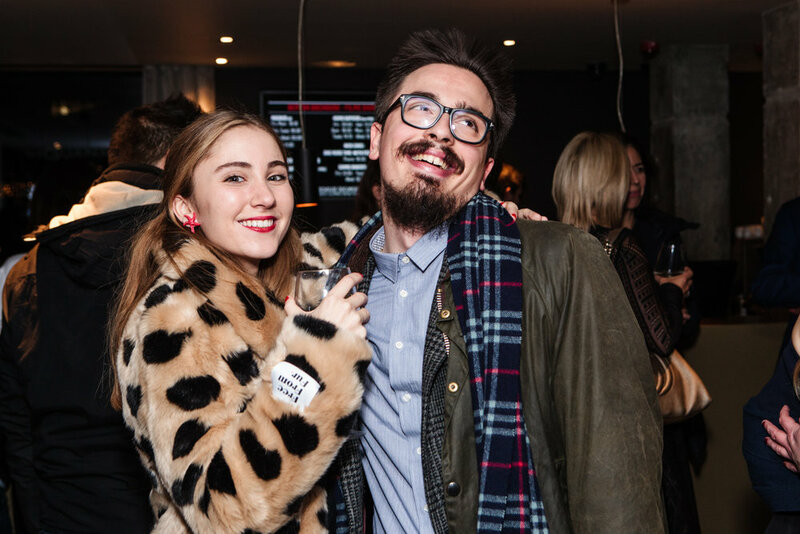 The evening started with a commencement speech by our very own David Knight and concluded with a valedictory speech by Filmmaking student Amelia Wall, before revelling into the night at the BFI Blueroom to present the winning students with their specialism awards. Today is the first day of the fresher's week for our new BA (Hons) Practical Filmmaking and BA (Hons) Screenwriting Students. We are happy to welcome them to our school and can’t wait to help them develop their filmmaking skills. On our BA (Hons) Practical Filmmaking and BA (Hons) Screenwriting undergraduate programmes, we train filmmakers and screenwriters to work in the industry as soon as they graduate, both in the UK and internationally. 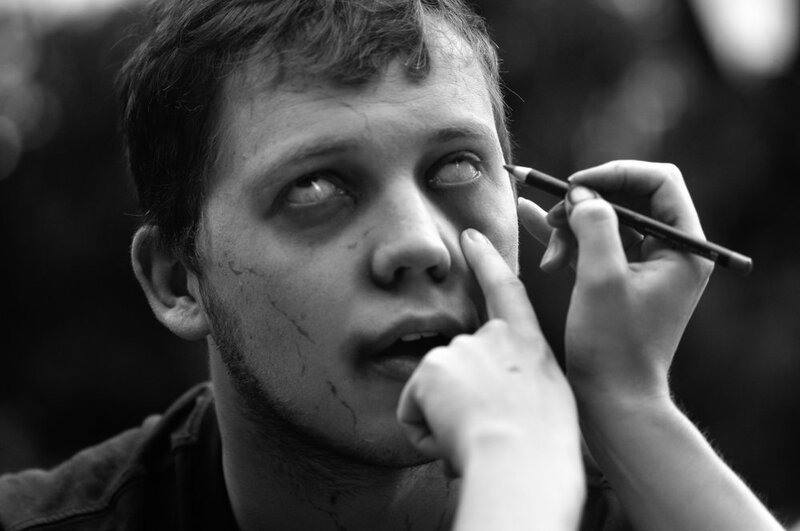 All theory classes are used to support practical exercises, giving our students the opportunity to transform their learning into filmed productions. 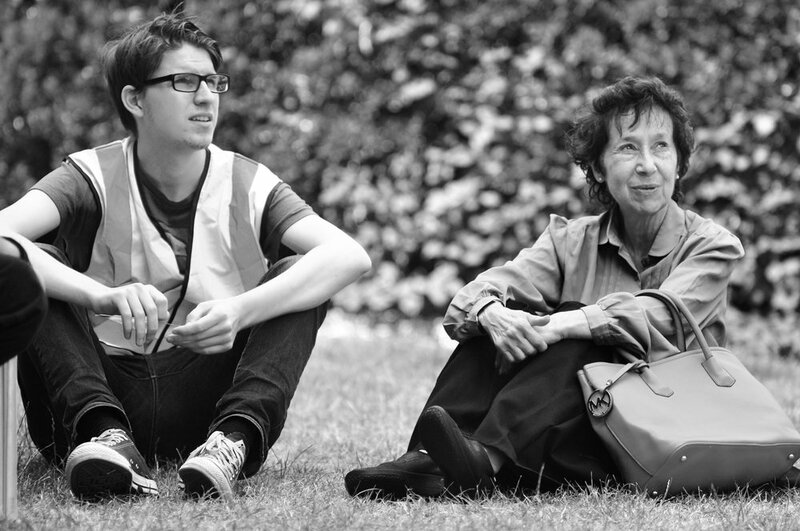 All of our tutors are working film industry professionals and include those at the forefront of new and emerging technologies. 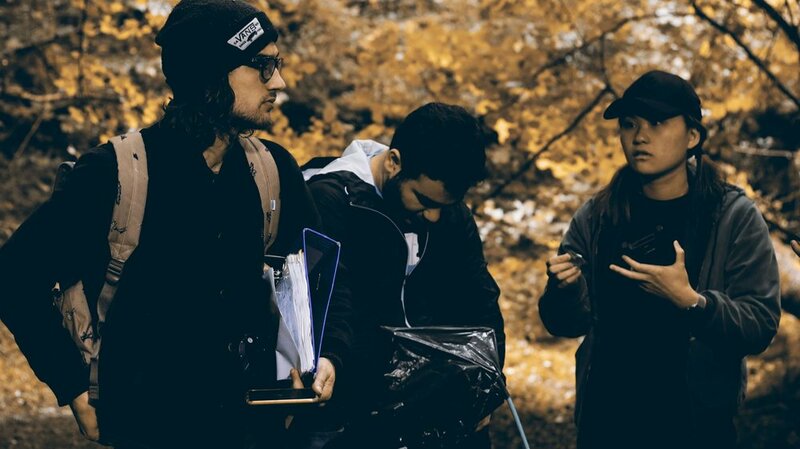 Huge congratulations to Mickey Shu-Ting Chan, Yasmin Khan, Mat Braddy, and Rodrigo Gonzalez, recent graduates of Central Film School’s One-Month Practical Filmmaking Short Course, who have won Best Comedy Short for February 2018 at the London Independent Film Awards, as well as receiving an Official Selection for February 2018 at London Short Film Presents and an Honorable Mention for Spring 2018 at the London-Worldwide Comedy Short Film Festival. We were very excited to welcome Rebecca Daly and Glenn Montgomery to Central Film School in February to hold a QnA session with our Undergraduate and Postgraduate students. Rebecca and Glenn have worked on three films together, The Other Side of Sleep (2011), Mammal (2016), and Good Favour (2017). Their films have premiered at Cannes Film Festival, Sundance Film Festival, and Toronto International Film Festival respectively. Rebecca and Glenn spoke about their film Mammal (starring Rachel Griffiths & Barry Keoghan, released 2016), the process of making the film as well as releasing via the festival circuit and onto wider audiences, and offered advice to our students about embarking on their careers in film. With just 7 days to go until the 15 January 2018 UCAS deadline, have you decided where you want to further your film education? Screenwriting Diploma graduate Natalie Malla has just launched a new web series - Acting Up. Find out more about the series on the Acting Up website, or by following the creators on Facebook, Twitter and Instagram. 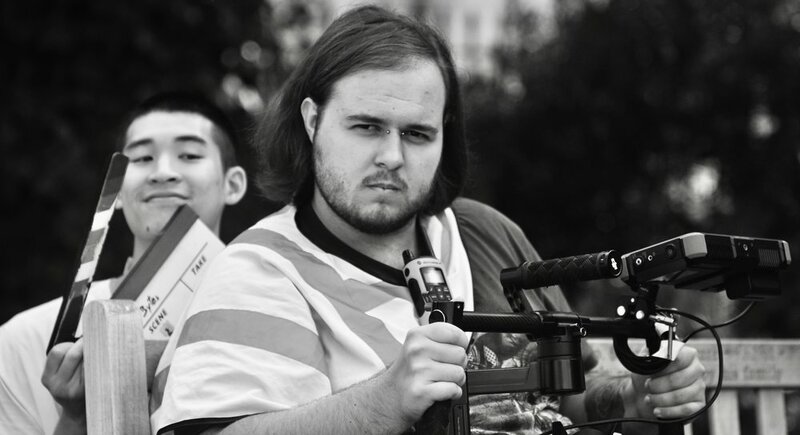 2016 Practical Filmmaking graduate Charles Carter is joining the 2017 summer intake at the prestigious American Film Institute Conservatory in Los Angeles, California. Charles will be one of fourteen fellows on the Editing programme at a conservatory that boasts illustrious alumni, including David Lynch, Patty Jenkins, Scott Frank, Wally Pfister, Andrea Arnold and many more. I am really looking forward to being able to specialise in my chosen field within the industry. It will be a great opportunity for me to continue honing my skills further after my training at Central. I think both these films worked well for my application... The variety and diversity of these films showcased two differently edited pieces. Central gave me a fantastic platform to take on and experience all the various roles that form the film production cycle. I think this breadth of training, even when you have decided to specialise, allows you to be a more collaborative and well-informed member of the team. Central is also a place, especially in your first year, to embrace failure and learn not to be scared of it; to try, fail and then try again. We're really excited for this next stage in Charles' career, and can't wait to see what happens next. Congratulations! Graduation film Gigabite has recently completed filming, and has released this extremely tantalising behind-the-scenes video, plus accompanying images, all taken by photographer/filmmaker Ludovica Sitajolo. 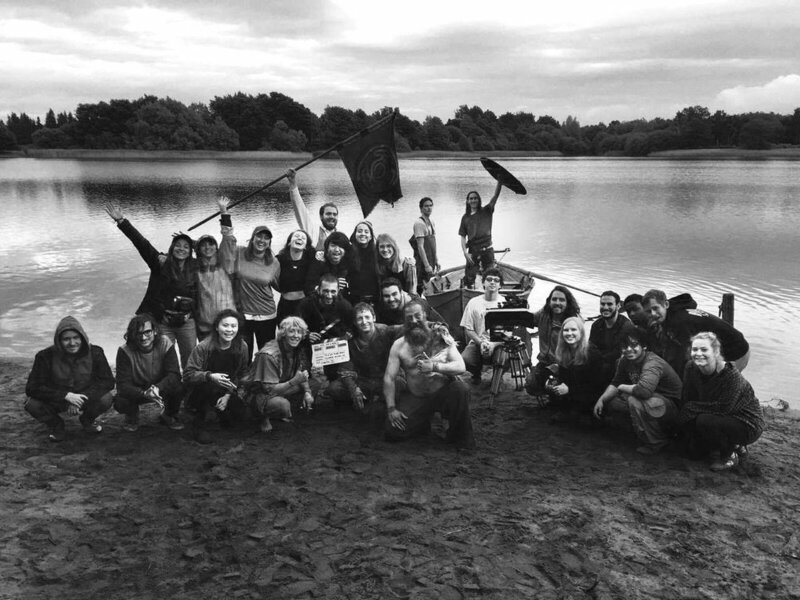 Central Film School Industry Filmmaking Diploma alumna Hildegard Ryan is co-writing and directing a new short-form drama series - Overshadowed - for BBC Three, produced by Kay Mellor's production company Rollem Productions. Described as "compelling, haunting and funny", the eight episodes will tell the story of a young Irish vlogger called Imogene (Michelle Fox) whose life spirals out of control when she meets the monster of anorexia personified. The series is based on the stage play by Ryan's co-writer Eva O'Connor, and will stream on BBC Three in ten eight-minute episodes. We're really excited to see our alumni go from strength to strength, and eagerly anticipate Overshadowed launching soon. Hildegard Ryan (left) with Kay Mellor (executive producer) and Eva O'Connor (co-writer). Our final year BA Practical Filmmakers who have chosen to specialise in cinematography were lucky to visit Panalux this week. 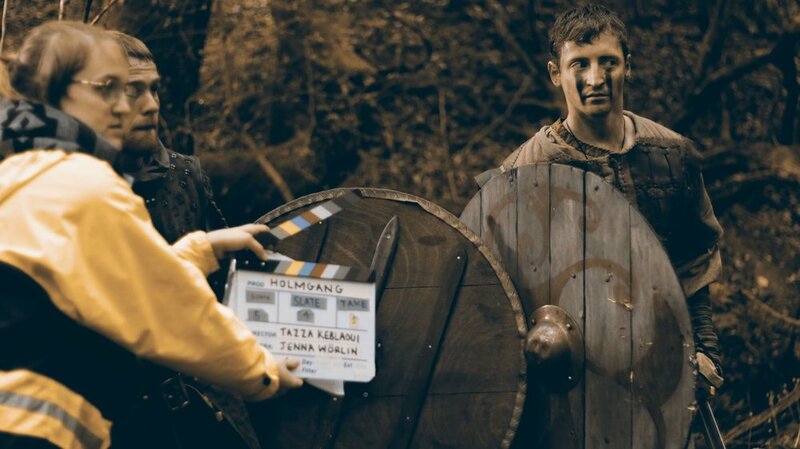 They were shown round by Ole Mienert (Emerging Filmmakers Liaison) and Stewart Hadley, and introduced to Panalux's amazing range of lights and lighting options - some of which had recently returned from the Game of Thrones set. Panalux also donated some lighting gels to the school, and the cinematographers received t-shirts and mugs. We're extremely grateful to Ole and Stewart and all at Panalux for their hospitality and generosity. We're certain this insight will be invaluable to our cinematography specialists as they prepare to shoot their graduation films, and as they make decisions about their post-graduation plans! The East End Film Festival takes place in a couple of weeks on our home turf, and features some Central Film School-related talent. It's sure to be a brilliant celebration of the filmmaking talent to be found in the capital. David Knight has been announced as the new Head of Curriculum at Central Film School. David is an educator, award-winning director and director of photography, with a wealth of experience in the film and television industries. He has shot sequences for the London 2012 Olympic Games, installations at Tate Modern, and work for cinema, broadcast and online platforms in the UK, Europe and internationally. 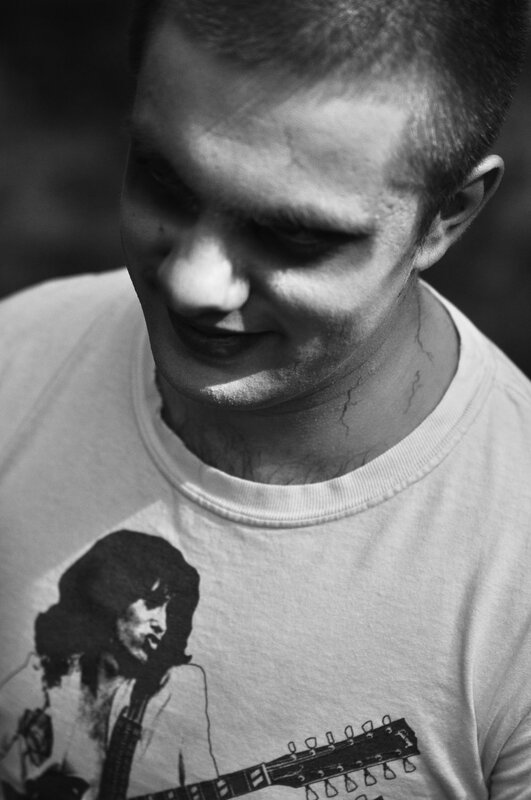 His recent work has focused on collaborations with international organisations like Amnesty International and the Royal College of Psychiatrists - using film to explore issues such as human rights and mental health provision. His film The Stuff of Life, shot for Amnesty, addressed waterboarding. It was then the subject of a CNN report, which was screened in Congress and caused a change of policy. This experience will be invaluable in shaping Central Film School’s new courses that focus on factual filmmaking - a One-Month Documentary course, and an MA in Social Impact Documentary Filmmaking - that seek to use filmmaking techniques to illuminate injustices and motivate social change. This is an exciting and fruitful time for film and programme makers, and I look forward to working with Central Film School students and understanding their career aspirations. I’m particularly excited about bringing my experience in factual filmmaking into these new courses, and empowering our new filmmakers to change the world. David comes to Central Film School from London College of Communication (University of the Arts London), where he was Programme Leader for BA Film and Television, as well as a Senior Lecturer and Researcher. Graduation film Holmgång on awards spree! 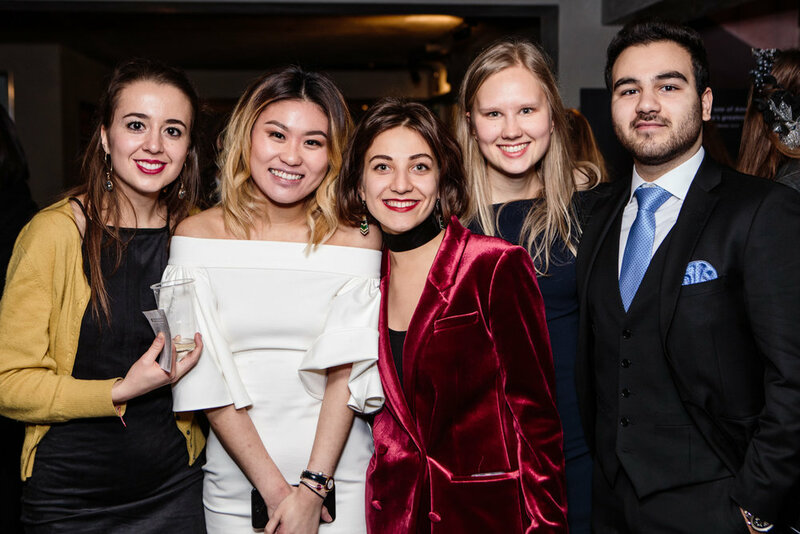 Director Tariq Keblaoui's graduation film Holmgång has won two awards in quick succession, as our BA Practical Filmmaking graduates take their final project short films out to a wide variety of festivals. Holmgång won the Best Student Film award at the London Independent Film Awards, a monthly competition awarding the best in independent film. Director of Photography Jenna Wörlin won the Best Cinematography award at Barcelona Planet Film Festival. Actor Eddie Toll was also nominated for Best Actor for his work as the character Norn. Holmgång was also selected for the Roma CinemaDoc festival. We'll keep you updated all other festival appearances by our recent graduation films. These final projects were put together by a core of six BA Practical Filmmaking students, with the support and assistance of a larger crew of students, colleagues and friends. The six specialisms assessed in our graduation projects are Directing, Producing, Cinematography, Continuity/Editing, Sound, and 1st Assistant Director. 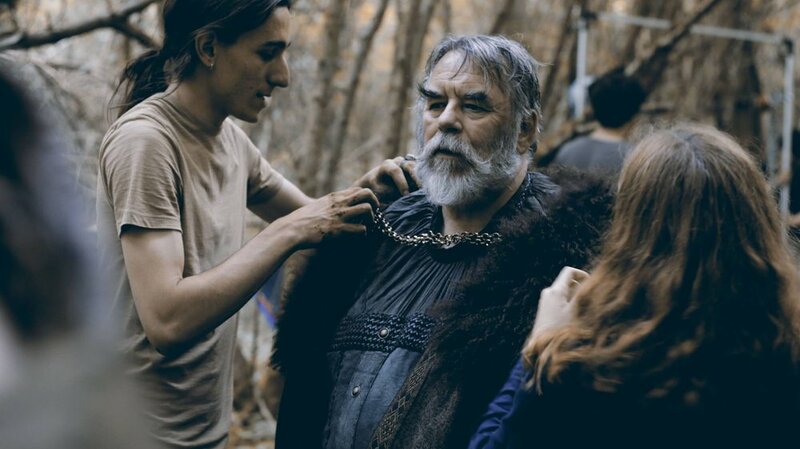 These specialisms give each student a good mix of a major role on a 10min short film, and a minor role in a field where employment will be easier to find immediately post-graduation. Recent CFS tutor Rafael Kapelinski is the director of Butterfly Kisses, winner of a Crystal Bear at this year's Berlin International Film Festival. The Crystal Bear celebrates the best film in the Generation 14Plus category - films made for a young audience. Butterfly Kisses was produced through Film London's Microwave scheme, and won over the Berlin jury: "From the kaleidoscopic opening sequence onwards, we are captivated by the haunting intensity of this electrifying feature film debut." Congratulations to Rafael, and his cast and crew! Our studio was transformed into a half-destroyed apocalyptic dwelling today, as our Six-Month Filmmaking students prepared to shoot a seven-minute short film. Most schools wouldn't encourage rubble, graffiti, dust and guns in their classrooms - but we couldn't resist such a compelling place for a story to unfold. 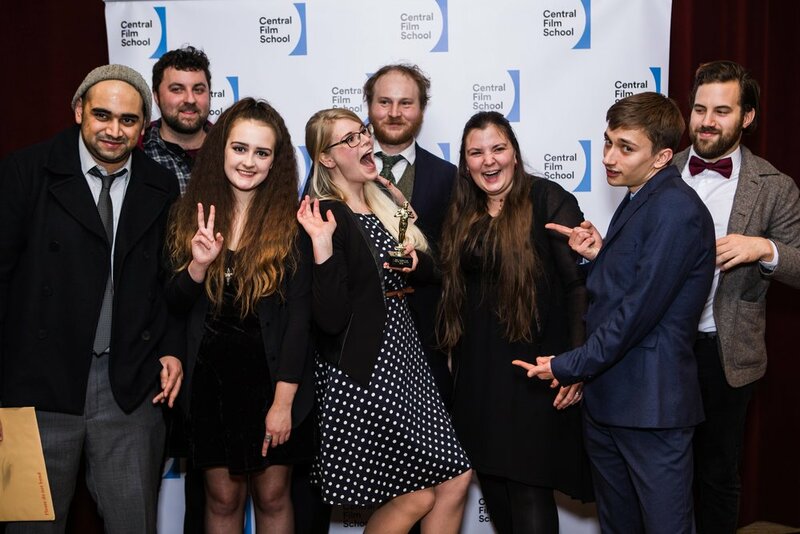 Graduating students, friends and family, and others in the Central Film School community came together on Wednesday 30th November 2016 at Curzon Bloomsbury. We watched nine graduation films made by our BA (Hons) Practical Filmmaking students, and celebrated the graduation of our undergraduate and Filmmaking Diploma graduates. 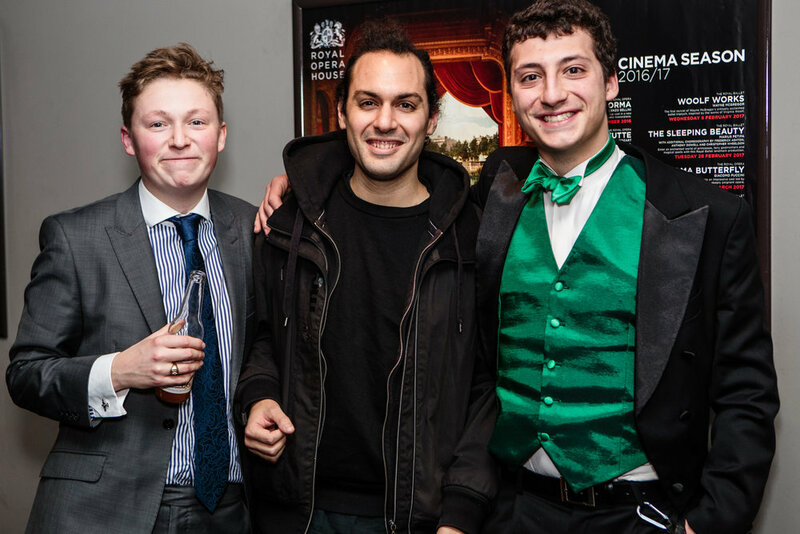 The evening started with a commencement speech by film producer Bob Portal, and concluded with a valedictory speech by S14 student Tariq Keblaoui, before revelling into the night at the Curzon bar! Thanks to our hosts Curzon Bloomsbury; to Bertha DocHouse, Onsight, ProAV, and Shooting People for providing prizes; and to all attendees for a great night! 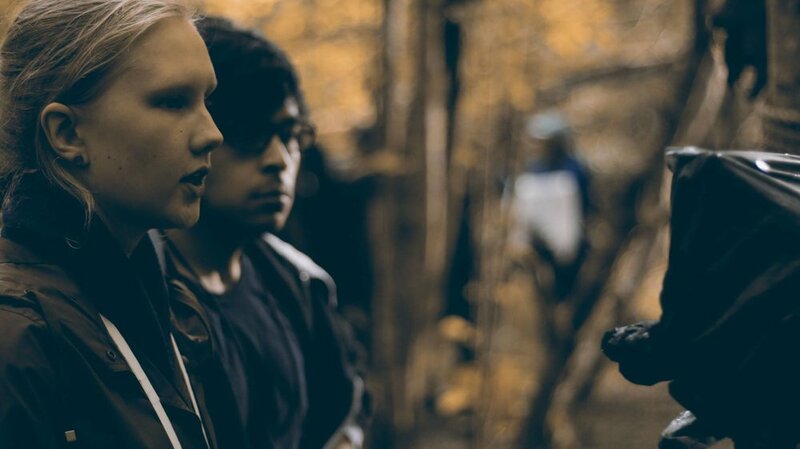 Graduation film Holmgång has just released a new trailer, and some beautiful behind-the-scenes photos, taken by Brendan Julian. Take a look at a few below, or the full set on the film's Facebook page. We’re delighted to announce the pioneering facilities company Onsight has partnered with Central Film School to introduce our students to their up-to-the-minute equipment and award-winning team of creatives and technical crew. Onsight have over 25 years’ experience, and have supplied equipment and services for production companies like 20th Century Fox, Millennium Films, BBC Comedy, Sky, The Mill, Nick Broomfield, and countless others. The partnership will include sponsorship of the Best Filmmaker Award at this year’s graduation ceremony, with the winner receiving a week’s camera rental from Onsight. The company will also offer internships at their facility in Shepperton Studios, workshops with our Cinematography specialism students, and equipment discounts for students. We’re really excited about the possibilities of working with such a renowned name in facilities and post-production, and are certain that our students will hugely benefit from such high-level industry insight at the start of their filmmaking careers.